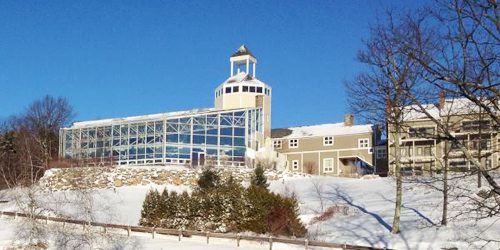 All NH mountain resorts are near major ski areas and snow sports and regional attractions for families, but they also pamper indoor-loving guests with spas, fireplaces, and shopping. In summer and fall, the range of outdoor play -- from swimming to rock climbing -- is vast. Some resorts, like Attitash Grand Summit Hotel, revise their ski areas for summer fun, offering Alpine slides, mountain coaster rides, scenic chairlift rides, and zip lines. 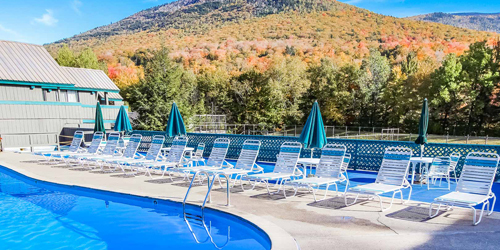 Nestled in the heart of the White Mountains, in picturesque Waterville Valley Resort, The Black Bear Lodge is a family friendly, well-appointed all-suite hotel with one bedroom condominiums. Comfortably sleeping 4-6, each suite features a fully-equipped kitchen, dining/living area, full bath and separate bedroom. Lodge amenities include indoor/outdoor heated pool, sauna and whirlpool, and a children’s cinema and a game room for anyone on a family vacation. Park your car and enjoy our "summer unlimited" and “winter unlimited” activities included during your stay. Activities include mountain biking, boating, 9 holes of golf, unlimited tennis, chair lift ride at Snow’s Mountain, skiing, skating, sleigh rides and unlimited use of our White Mountain Athletic Center. 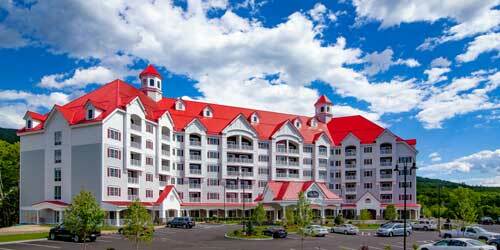 Fabulous resort condominium hotel in Lincoln, New Hampshire. Any time of year, the White Mountains beckon with scenic splendor, outstanding outdoor recreation, and the promise of a relaxing vacation away from home. Located in the center of town, enjoy the comforts of home at this luxury resort hotel. You’ll enjoy the onsite spa, indoor/outdoor heated pool, a fitness room, an onsite restaurant serving Italian cuisine, a full production, commercial winery and tasting room, plus valet parking, a concierge and room service. You’re within walking distance of the unique shops, entertainment and outdoor recreation at Loon Mountain and downtown Lincoln. Natural and man-made attractions offer limitless four season fun and adventure in the mountains, lakes, towns, and villages nearby. 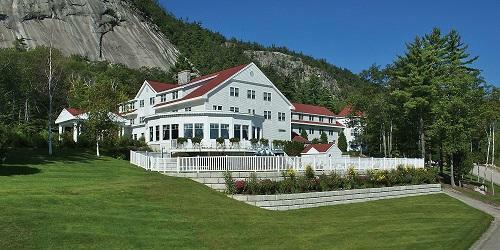 The only New Hampshire resort to earn AAA Four Diamond awards in Lodging and Dining since 2008 welcomed its first guests to this majestic White Mountain setting in 1865. The personalized service and classic hospitality continue. Choose from elegant and relaxed guest rooms or family sized and friendly suites with separate living rooms and spectacular mountain views. Rejuvenate in the award winning Tower Spa and Health and Wellness Center. Kids have their own complimentary activity programs, game room, and movie theater. There’s even a working farm to explore. Dine from breakfast through dinner and in between at any of four restaurants offering casual to fine dining. 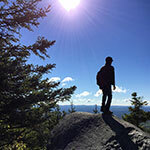 Come any season and you will not run out of things to do, be it golf, skiing, foliage hikes, swimming and much more. There truly is something for everyone at Steele Hill Resorts, perched on a hilltop overlooking Lakes Winnipesaukee and Winnisquam and surrounded by the White Mountains. 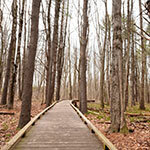 Trails for hiking and snowshoeing, a nine-hole executive golf course, fishing in a private pond, tennis courts, indoor and outdoor pools: It’s all part of the resort, set on 500 acres of unspoiled fields and hardwood forests. If you like your fun indoors, there’s a roman spa, exercise room and a slate of activities from jewelry making to ice cream socials. And those views! Check them out from the enclosed observation tower or from your cozy room or townhouse (maybe with a fireplace and whirlpool bath). Dine on local cuisine at the Hilltop Restaurant. 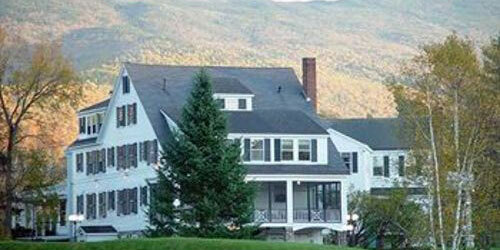 This spectacular mountain resort offers Victorian rural elegance on 33 wooded acres. . The manor retains its allure and original buildings from a century ago when it was the summer estate of carpet baron Erastus Bigelow. The historic lodging offers 16 guest rooms in the Manor house with fireplaces and Jacuzzis, and 10 rooms in the Mountain View Wing attached to the main manor with sweeping views of the Moat Mountain Range. Four dining rooms attend one of the most popular restaurants in the Mount Washington Valley. Relax amidst gardens, quiet places, a tennis court, a heated indoor pool, Adirondack chairs, and the Library Lounge, open for a nightcap by the fireplace. Book direct and dinner and breakfast are free. 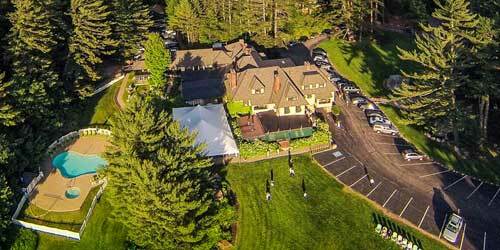 For more than 150 years, the Franconia Inn has been offering guests majestic scenery, unmatched outdoor recreation and year-round resort comforts and amenities. Set on 107 acres of White Mountain splendor, you’re lodging is a colonial style mountain Inn with fireplaces and an oak paneled library. The bountiful food has been called “elegant American Cuisine” with dishes like oven-roasted duck, baked salmon, and lobster ravioli. Relax in the pub with a burger or some buffalo wings. Work up an appetite on the tennis courts, in the outdoor pool, fishing, hiking, mountain biking, horseback riding or on one of the nearby golf courses. Don’t miss the fall foliage and some of the best skiing, snowboarding, and snow tubing all winter long. Welcoming guests to North Conway since 1990. 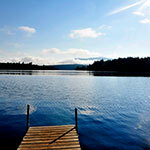 A tranquil retreat just 2 ½ hours from Boston is minutes from North Conway Village and area attractions. 80 deluxe guest rooms and suites offer spectacular mountain views, complimentary continental breakfast, Colonial inspired décor and first class amenities. Serta pillow-top beds, luxury linens and pillows, Eco friendly Aveda bath products, and high speed wireless Internet. Guests enjoy access to the Championship 9-Hole Golf Course, year-round fitness center and Finnish sauna, and the hiking and biking trails in the adjacent State and National forests. Savor full service candlelit dining at Ledges Dining Room or try the Tullamore Tavern featuring local ingredients and contemporary New England specialties. “Best Lodging in the Valley” by Ski Magazine. 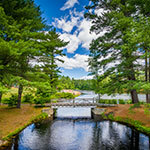 The words mountain and resort together form inviting images, images that are realized at this favorite New Hampshire getaway. 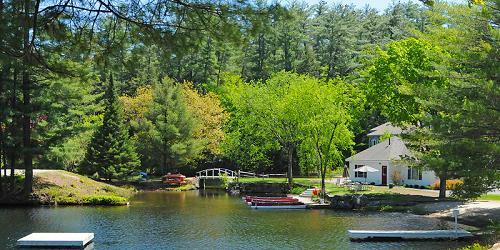 Framed by the Presidential Range of the White Mountains and the shimmering waters of the Lakes region, you’re in for a treat that has been repeated countless time over more than century. The scenery is a given but great hospitality takes a little more work and Purity Spring delivers. Choose from fifty-two rooms in a variety of settings, seasonal rate options offering affordable lodging, meals, recreation programs and use of resort facilities. 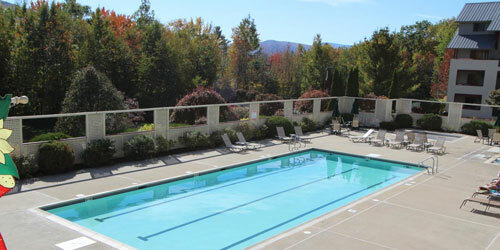 There’s an indoor pool, fitness center and boundless outdoor activity year round on the lake or in the mountains. And the images you take home will forever be enhanced. New Hampshire’s only Five-Star condominium resort is set on a mountainside and adjacent to 750,000 spectacular, four season acres of the White Mountain National Forest. One to three bedroom suites can accommodate from four to eight and include fully equipped kitchens and living rooms with gas fireplaces, a TV with VCR or Combo player. There is air conditioning in every bedroom, a whirlpool spa tub and a balcony or patio to take in the scenery. Enjoy indoor and outdoor pools, improve your game on the basketball, volleyball and tennis courts. Cool down or steam up in the locker room with showers, sauna and a spa tub. And if you just haven’t had enough, there’s the fitness room, game room, and in-house laundry facilities to keep you limber. Off site, adventure lurks. 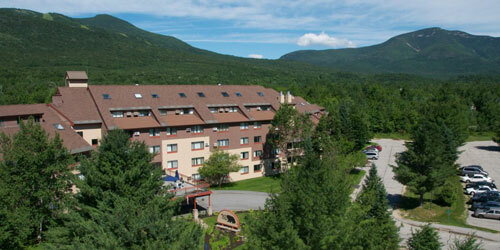 The Village of Loon Mountain offers one, two, and three bedroom deluxe suite, condo/townhouses, and lodge studio units. Located on the southern face of Big Coolidge Mountain, each deluxe townhouse and lodge suite offers a full kitchen, fireplace, TV/VCR, deck and patio. Surrounded by the majestic White Mountains, expect unlimited year round recreation for the entire family including downhill and cross-country skiing, snowboarding, biking, hiking, horseback riding, tennis, golf, fishing and sightseeing — all within easy access from the Village. On site, two indoor and outdoor pools, a health and exercise club, basketball court, hot tubs and whirlpools, free W-Fi and laundry facilities. 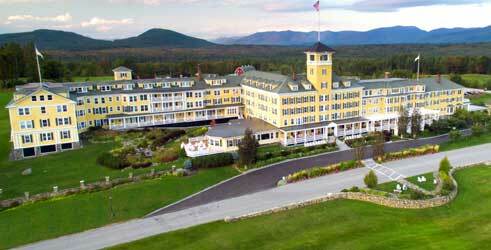 Take in the unmitigated and breathtaking views of Loon Mountain Ski Resort area. 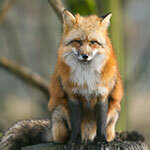 If you hush, you can hear its plaintive wail. Come for the views and relax with comforts and amenities at this historic Inn built in 1879 and surrounded by White Mountain splendor. The enchanting village of Jackson NH is your getaway destination and it has everything to be wished for in a New England setting. Rooms and suites are traditionally decorated and include free Wi-Fi and cable television. There’s a seasonal outdoor pool, a game room, a playground, and meeting and event space. The scenic nine-hole golf course features a pro shop and a driving range. Spa services are available and family friendly Highfields Restaurant offers classic comfort cuisine. 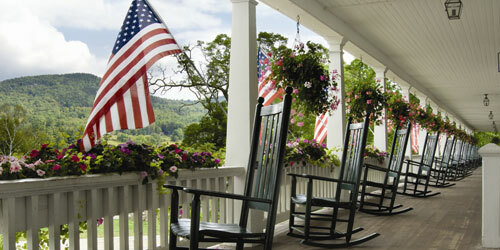 Enjoy cocktails or a light meal at the Eagle Landing Tavern and dine al fresco in summer on the veranda.